Keep the speed sensor rotor free of foreign matter. 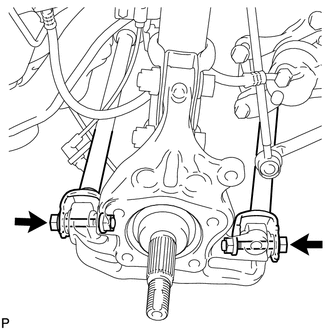 Do not rotate the drive shaft with the rear axle hub and bearing assembly removed. Insert the bolts from the rear side. 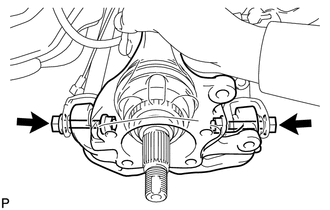 (c) Fully tighten the rear No. 2 suspension arm assembly and the rear No. 1 suspension arm assembly with the 2 bolts and 2 nuts. 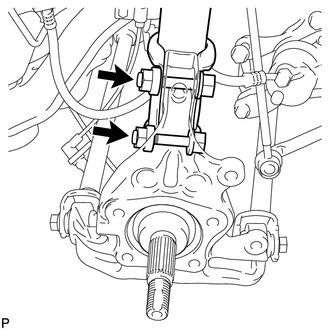 Since stopper nuts are used, tighten the bolts.